Why is LuaLaTeX not picking up small caps glyphs? I have a font, whose font table is as shown in the image. 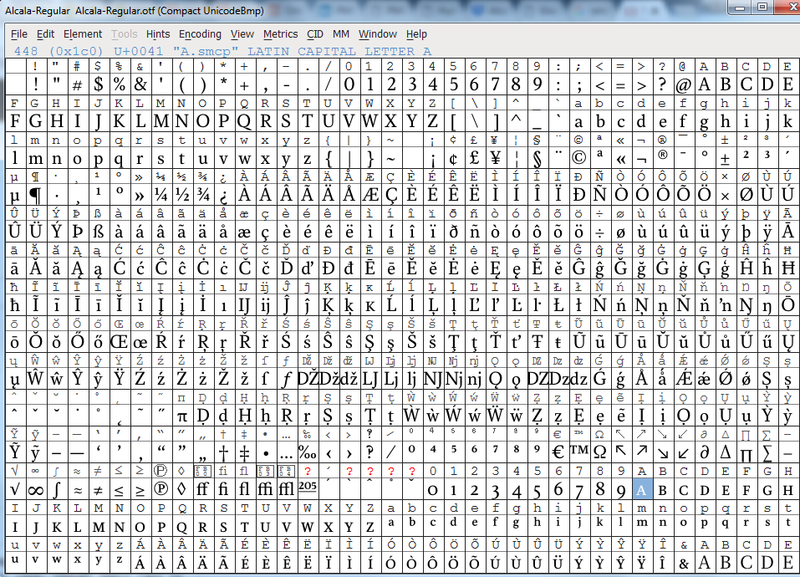 However, when I compile a basic document with LuaLaTeX, the text appears as lower case, though small caps is specified. I understand, from looking at the font table, that the small caps glyphs may be in the wrong location (in the font table) and/or have wrong labels (e.g. small caps 'a' is shown as LATIN CAPITAL LETTER A in the image below). I do not understand font tables well and any insights will be appreciated. Please advise if I need to move the small caps gylphs to another location in the table, to allow LuaLaTeX to pick it up correctly. If my understanding is wrong, please can you suggest any other resolution? 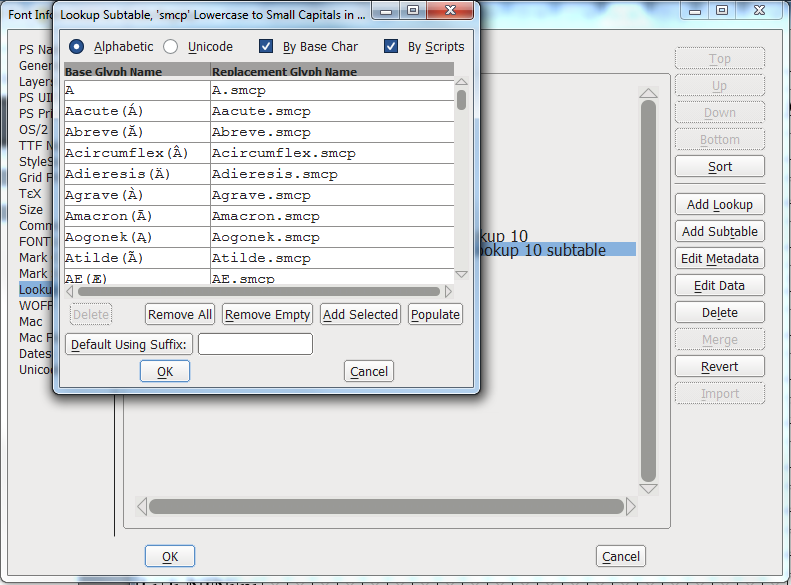 Now, using the \textsc command on capital letters, produces the right output.